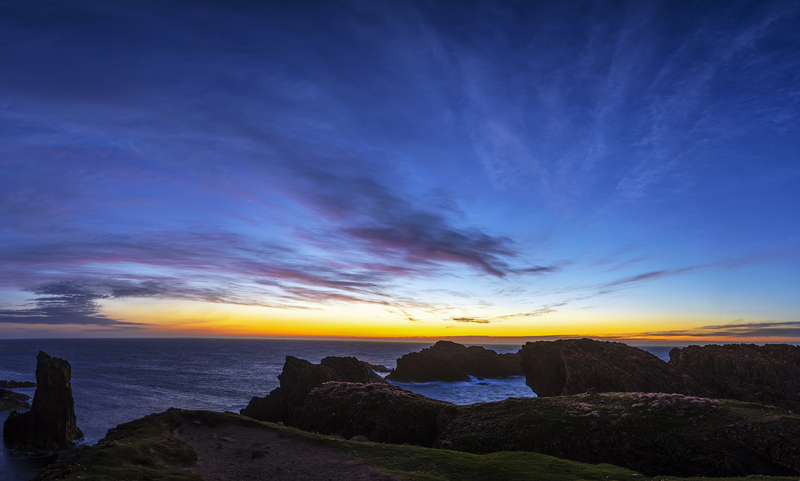 What you can see in this great panorama is the darkest hour during the summer nights here in the Outer Hebrides. Exactly! The sky will never be darker than this, and on the horizon there will always be an eternal sunset to brighten it! One among the majestic wonders that Scotland has to offer, taken from the stacks near the Ness Lighthouse, at the very northernmost tip of the Isle of Lewis. An unforgettable dream!